Death and taxes may be the only certainties in life but that doesn’t mean we ever get used to them. The fallout can be even more challenging when it is a partner who dies. On top of the intense emotions of loss there may also be a huge number of practical considerations to worry about, especially if the surviving partner relied on their husband or wife for much of the day-to-day. So how can you best support parents or elderly relatives through bereavement? In any of us, loss stirs up a huge range of emotions – everything from grief and anger through blame, guilt and fear until, hopefully, we reach a stage of resignation and calm. What can make bereavement so much harder for parents and elderly relatives is that their emotions are mixed up with the very real reminder that they may be next in line: that it is their generation that is dying. Living in a society that still struggles to talk about difficult emotions feeling unable to express their fears only increases the sense of loneliness and loss. After all, it is the friends they are losing who they may have gone to throughout their lives to talk about problems and concerns. On top of that may be the sense that with the death of their peers they are losing their own history. It’s their peers with whom they shared memories, good and tough times, and all the stuff of life we often take for granted: everything from music to fashion and politics. You can’t replace their friends but you can give them plenty of opportunities to talk about the people who have gone and the memories they shared. Sometimes we don’t do it because we fear it will upset them – when the opposite is true. There’s solid scientific evidence that when elderly people are encouraged to replay the past – especially the times when they were at their happiest and most energetic – it positively boosts their health. Bring out the photo albums, ask lots of questions, encourage them to tell you what the person who died meant to them – and keep on doing it as long as they need you to. There really are no rules, rights or wrongs about how, and how long, people grieve for, and you need to let their grief run its course. Only if you are worried that they are showing some of the warning signs of slipping into depression should you talk to them about getting professional help, for instance from a specialist bereavement counselling agency such as Cruse. That advice takes on a different complexion if it’s a partner who has been lost. On top of the emotional juggernaut, be aware of the risk to their health. Sadly, there is scientific evidence that people can literally die ‘of a broken heart’. It seems that during a major loss the immune system is weakened, making older people more susceptible to serious infections such as pneumonia. Once again, being available to talk and to listen through all the stages of their grief is the best support you can offer. They’ll heal quicker by being allowed to feel their feelings, however raw those are. But do find ways of getting space and support for yourself too: recognise you have also suffered a bereavement. If the emotions weren’t overwhelming enough, the task of filling the hole left by the death of a partner can also feel overwhelming. Not only the bureaucracy of notifying service providers, but, in the case of parents who have relied on their dead partner for many household tasks, the job of helping them to learn to do even basic jobs such as reading the meter. What additional help might you want to bring in? A gardener or cleaner, or a meals delivery service if they have no interest in learning to cook? What changes do they need or want to make to official documents, such as wills, mortgage or deeds to the house, insurance, household bills etc. What about getting around? If the dead partner was the driver, do you need to arrange alternative transport or organise a bus pass? What do they want to do about their partner’s things? This is an area where rushing into decisions can lead to regret later so encourage them to take their time with any clearing. Finally, what about where and how they are living. 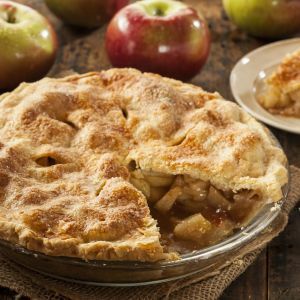 Again, do not rush into big decisions here but when the time is right you may want to discuss, downsizing, relocating, or staying put. There’s advice on all of these topics in our Stages of Care section. 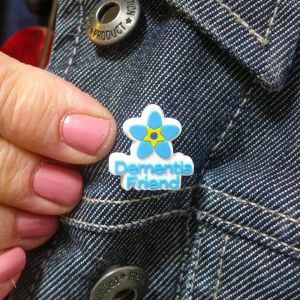 Becoming a Dementia Friend - and why you should too!